Using people, particularly celebrities, to promote products and services is a very effective way of gaining attention and credibility with an audience. The risk is that people are unpredictable and when a spokesperson does or says something that conflicts with your brand’s values and message that can create problems. Just ask Subway about Jared Fogle. 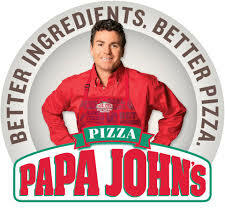 Unfortunately challenges like this aren’t infrequent and one company dealing with such challenges is Papa John’s. The national pizza maker utilized it’s founder, John Schattner, as the face of the company in advertisements and even their logo. That worked fine until Schattner was caught making racist comments. Since then the company has had a very public parting of ways with Schattner and is trying to establish a new identity. This Yahoo Finance article talks about the latest developments in their strategy and it appears they are looking at using sports stars and YouTube influencers in future promotions. The company has experienced an 8.1% decline in North American sales in part due to Pizza Hut taking over their former partnership with the NFL after Schattner’s comments. Time will tell if their new strategy will be able to effectively reposition the brand.